Summertime and the living is easy… Just like the song, it is time to have family and friends over for a barbeque and spend some time outdoors in the warm summer sun. But your garden is looking a little sad after a long winter. So what can you do to get it looking great again and be proud to invite people over to enjoy what summer offers? Well there are a number of different ways to go about it. 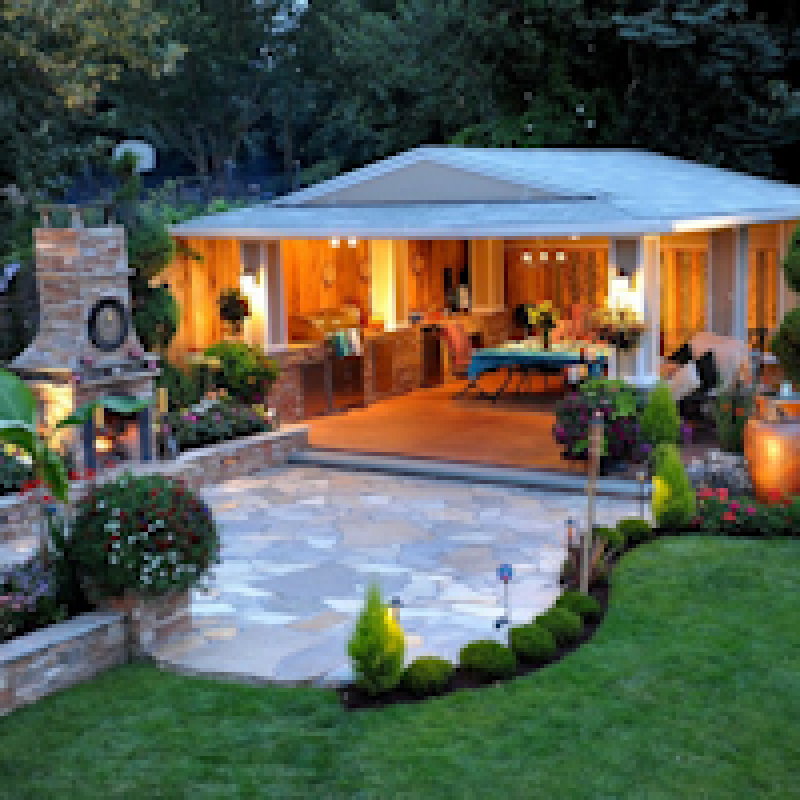 It may seem a daunting task but there are a few easy things you could do to make your garden look great again and impress your guest for your first BBQ of the summer. So let’s have a look at five different ways to spruce up your garden and give it new life for summer. Add a few extra hours to enjoy your new look garden in. How to do you accomplish this? Well, the best way is to string some lights on your tree. This will give your garden a lovely glow and allow you to spend even more time outside during the warm summer nights. What kind of lights would you need for this exercise? Wide angle LED mini string lights are considered the best and most popular for use outside to wrap around your tree trunks and branches. Another must do to get your garden in tip top shape for summer is, of course, cutting your lawn. This can be such a daunting proposition especially if you have quite a large garden. But it need not be a full day pushing a mower up and down in the hot sun. You can get an excellent riding lawn mower to make the task not only quick and easy but fun too. Once the lawn is looking like a lovely green carpet, you will need to get those hedges neatened up. To accomplish this easily you should have a hedge trimmer. A hedge trimmer can be used to neaten up those hedges surrounding your now neatly mowed garden. You can trim branches of up to 3 to four inches with these great tools. Trim your hedges into all sorts of configurations to give your garden a formal look. Growing your own vegetables will not only impress your guests but also save you lots of money, and it is so simple and easy to do. Plant your own carrots, tomatoes, lettuce or any other vegetable that you regularly consume. Chose a sunny location in your garden, make sure that you space your crops nicely and enrich your soil with compost, also ensure that the patch you have chosen has good drainage. Get your seeds from Amazon and voila, you will have your very own vegetables to serve to your guests. Who does not love a BBQ on a hot summers evening? Your garden is looking great, lawn has been mowed and looking as if it is a luxurious green carpet, hedges trimmed and the soft ambiance of lights spraying over your pristine garden making it look enchanted. Now all you need is a great BBQ grill to get the job done. There are many grills on the market but you can never go wrong with a Webber, the biggest name in BBQ grills. Everybody will recognize that you have a quality grill whether it is the Kettle Original or the Genesis Premium, it is the one to go with, no matter what kind of BBQ you are having. Getting your garden in shape for summer need not be as much hard work as you thought. With a ride on lawn mower, great hedge trimmers, and some garden lights for night time illumination, your garden will be the envy of your neighbors, friends and family. Impress your guests with your own vegetables grown in your very own vegetable garden and then give them a BBQ they will talk about for a long time using your Weber BBQ grill. Summer only last so long, so enjoy every minute of it.